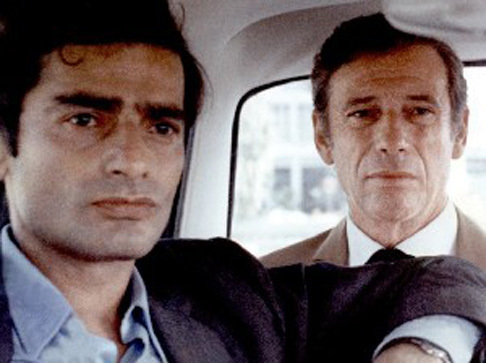 A French Algerian co-production in French, Z is the third film by the director Costa Gavras. This compelling conspiracy thriller is a thinly veiled fictionalization of the assassination of the Greek politician Giorgis Lambrakis in 1963. It satirises Greek politics and is fuelled by the outrage that was felt for the military dictatorship that ruled Greece at the time of its making. Z (meaning He Lives!) was released in the same year as Easy Rider and made during 1968 – when the war in Vietnam was at its height and many countries in Europe and elsewhere were being rocked by revolution and civil disobedience. Costa Gavras has a long career with a number of fine politically themed films, often closely based on true events among his credits. ‘State of Siege’ and ‘Section Speciale’ made in France in the 1970s were followed in Hollywood in the 80s by ‘Betrayed’ and ‘Missing’ – the latter based on the story of a father’s search for the truth about what happened to his son during the US backed coup to remove the Chilean leader Salvadore Allende. Z features a driving score by the distinguished Greek composer Mikis Theodorakis and garnered the Best Foreign Film Oscar in the Academy Awards.